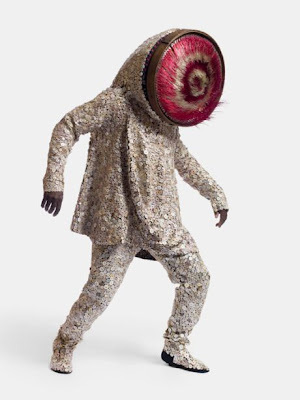 A dancer by training, Nick Cave‚Äôs art crosses the different art practices of dance, sculpture, fashion, and music. 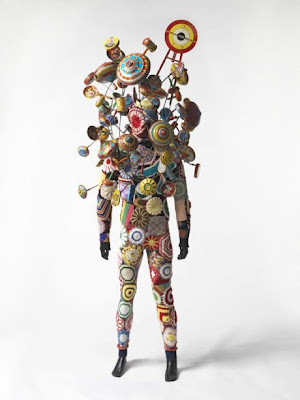 He makes costumes, which he calls soundsuits, with textiles and found objects. 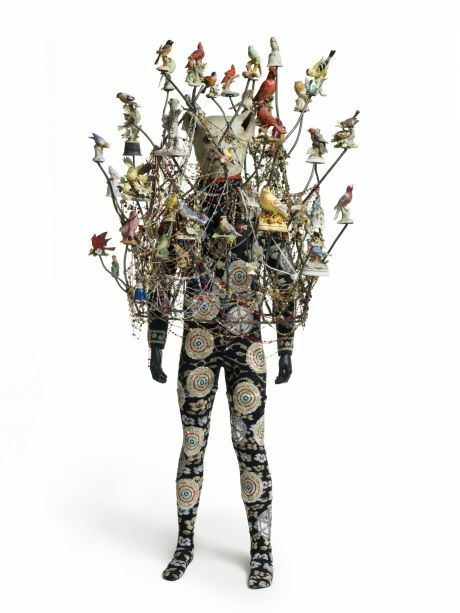 These soundsuits are worn for performances and dancing in them creates percussive music. Featured in the September issue of Vogue, the artist is seen in his soundsuits while wearing bags and footwear from labels such as Yves Saint Laurent and Dior. 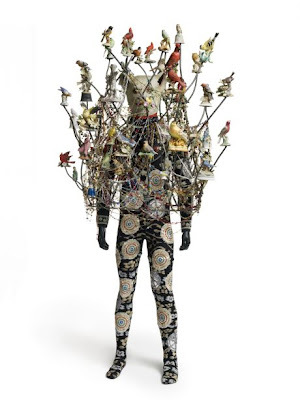 Nick Cave combines free-spirited motion exploratory modern dance with ostentatious sculptural detail to breath new life into contemporary art. In many ways, Nick‚Äôs work function within the vein of African art/costuming in the sense that they are intended to be ‚Äúdanced,‚Äù and enlivened within the context of performance and dance to illustrate and reflect upon societal mores and the cultural landscape. With references to haute couture, sculpture, performance, African American culture, costume, masquerade and beyond, Nick‚Äôs ‚ÄúSound Suits‚Äù defy categorization. Through material and the role in which material can provoke transcend a idea, feelings. What considerations do you take into mind when creating a soundsuit, with regards to material, composition, color and sound? None all organic , anything can happen and its all about imagination.